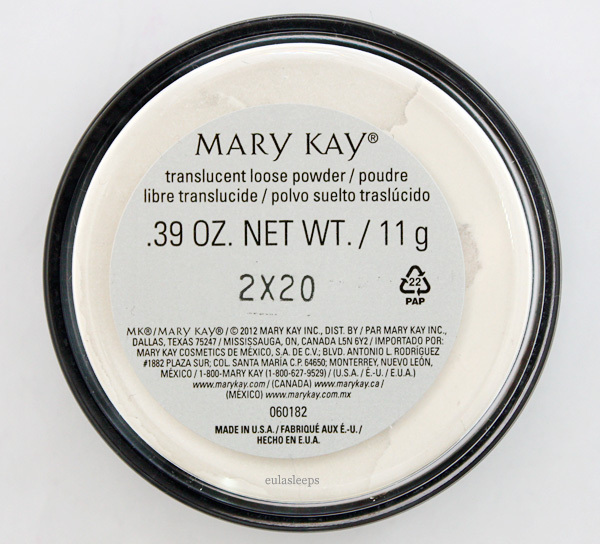 Mary Kay Translucent Loose Powder is a sheer powder for makeup setting and oil control. 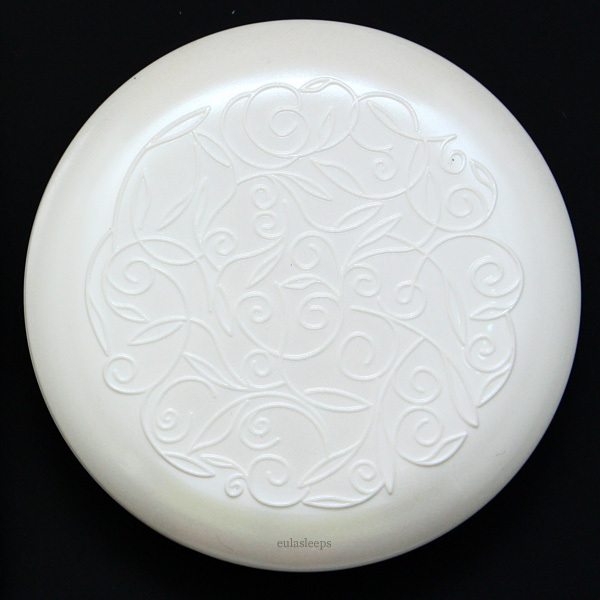 Finely milled, silky as heck, it blends in seamlessly with numerous bases. 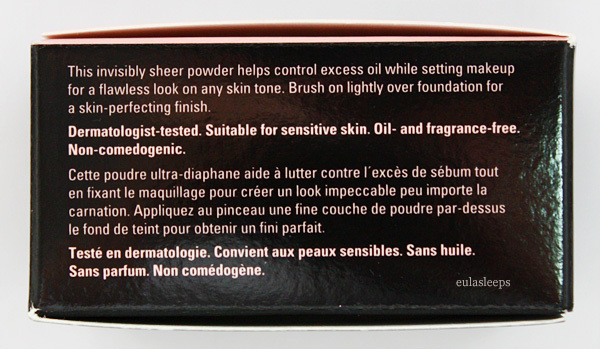 Remember when I said I needed a finishing powder when using Laura Mercier tinted moisturizer locally? This is the perfect solution. Like a mineral powder, this 11-gram pot is rich in mica and silica. Fragrance-free and non-comedogenic, it should be safe for sensitive skin. Let me take a moment to rave about the packaging. It's one the smartest I've seen -- the sifter locks so that no powder spills onto the cap even if it tumbles around. This makes it ideal for chucking into your purse for touchups. Mineral makeup companies should take note! 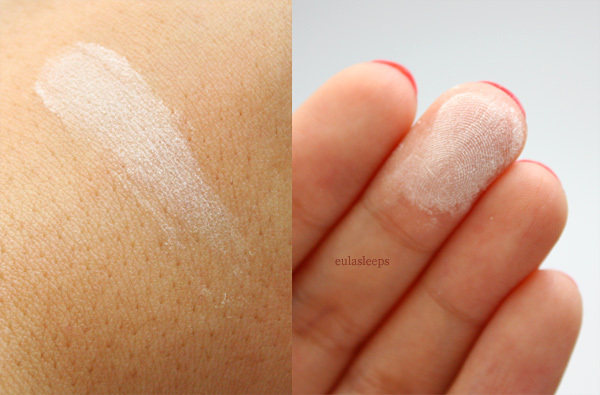 Like most translucent powders, this appears white and gives you frightening geisha-face upon application. But it quickly settles into a sheer, invisible powder. 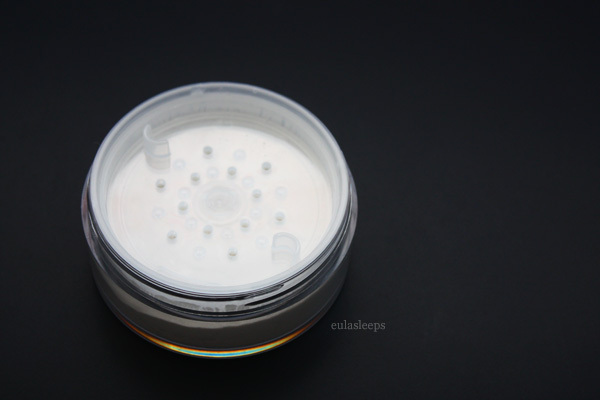 It has microparticles of shimmer that diffuse light, giving you a matte but not flat finish. Its light-scattering properties also result in a brighter complexion and minimizes the appearance of pores, lending a soft focus effect. When setting liquid or cream makeup, I always prefer to use a loose powder rather than a pressed one because I find that the former is less likely to cake. Using a powder brush, I pat pat pat gently all over my face to remove excess shine. A little goes a long way. 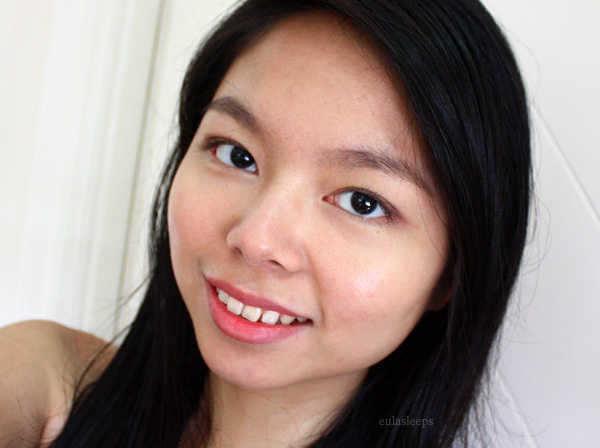 I love using it over a dewy base such as the Laura Mercier Tinted Moisturizer, it gives such a natural finish. Unfortunately this doesn't last particularly long on my oily T-zone, about 3 hours. This is combination is best for those with dry skin. 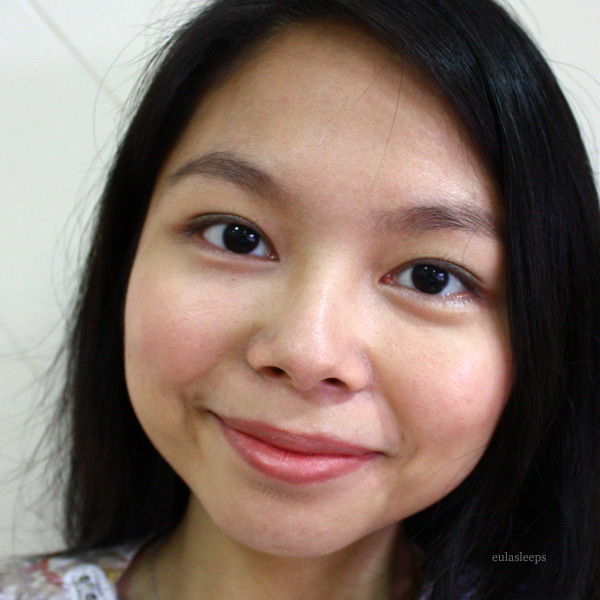 With more matte bases like Etude House Sun BB cream and Benefit Hello Flawless Oxygen Wow liquid foundation, you look a little more made up (polished) and it lasts longer, about 6 hours. The longevity isn't much of an issue here as it is with other loose powders because again, the packaging is tops. Never again experience the fear of powder exploding inside of your bag! Mary Kay also has a line of brushes, which feel synthetic but I can't be sure. 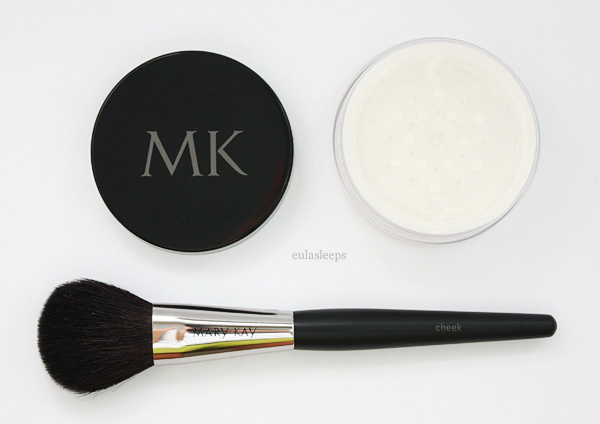 This cheek brush is big enough to use as a powder brush! It's a little scratchy...but it gets the job done in a pinch. 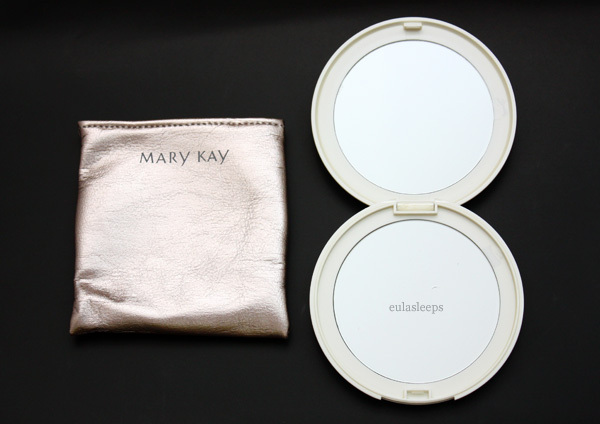 Mary Kay also has this large but lightweight dual-mirror compact, one side of which is a magnifying mirror. It comes with a cute lavender-pink pouch, super handy so it has found a home in my purse. Mary Kay Translucent Loose Powder retails for Php 800 for 11 grams, available through any Mary Kay Independent Beauty Consultant or by calling 859-MARY. 16 days left to join my anniversary giveaways! Have you joined? 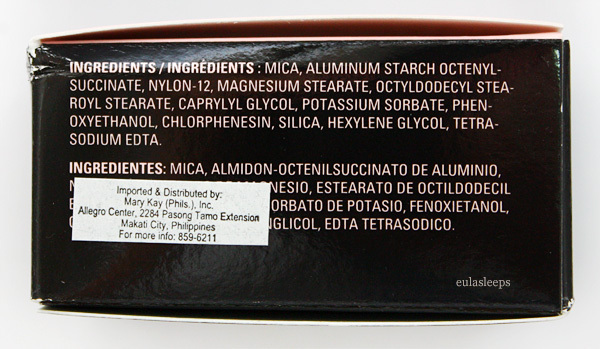 This review contains sample products sent for consideration by Mary Kay Philippines. I was not required to write, nor was I compensated for, a review.